On the first floor of Stavanger Museum, the artist Arne Nøst has created a singing installation as an introduction to our new Natural History exhibition. Nøst has used this opportunity to use items from our reserve collections and has created Cranium choir. "Animals and us. The mammals in our family tree are given human voices and eyes. What happens to our gaze when their crania gain human features?" 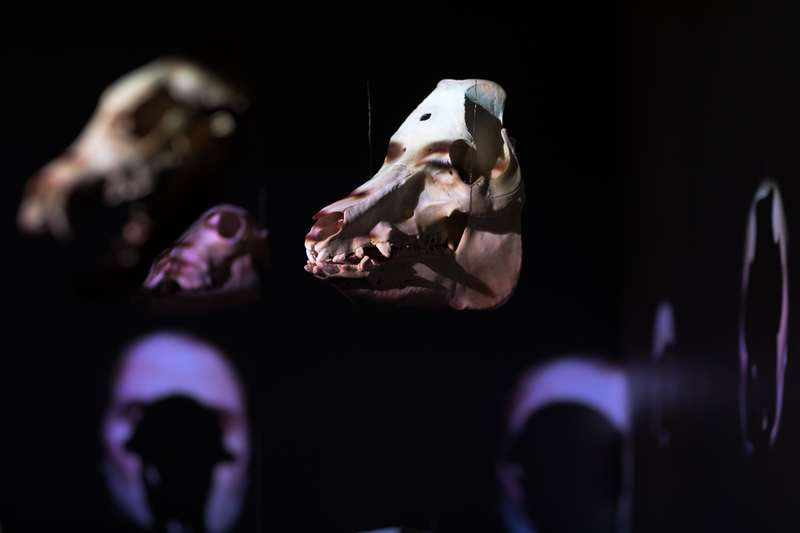 Cranium choir use skulls from Stavanger Museum's collections, here tame pig.